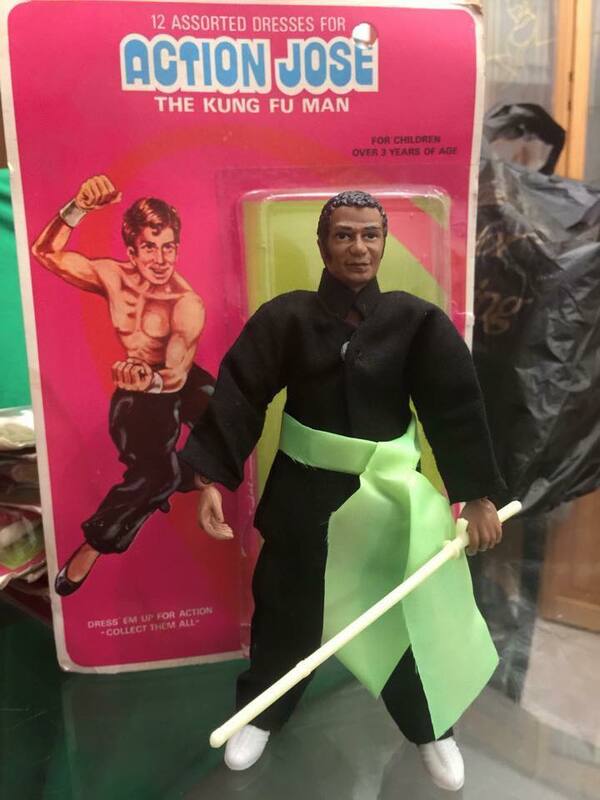 The Martial Arts explosion of the early 1970s was not lost on action figures, growing up in this time, it gave me a lifelong obsession with the culture. 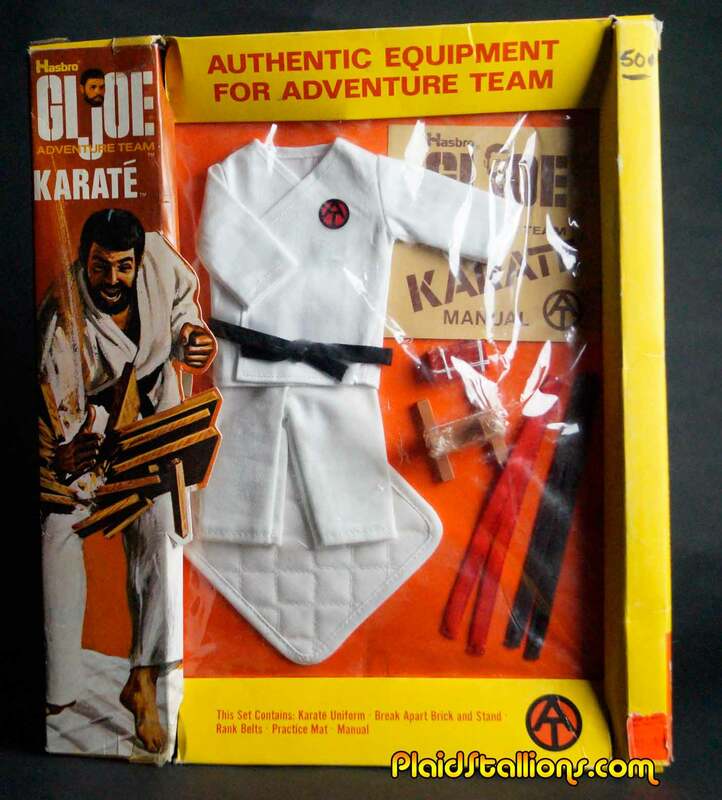 I recently just bought this Adventure Team Karate outfit and it made me realize that i've always been buying this stuff in one form or another. GI Joe was always the trendsetter, I love the art on this package. The Hong Kong based BARTER produced a series of action figures that went through different names around the world, in the US it was called Mr. Action, in Italy it was "Don-Bill-Jac" and as you can see Bill has deadly hands. 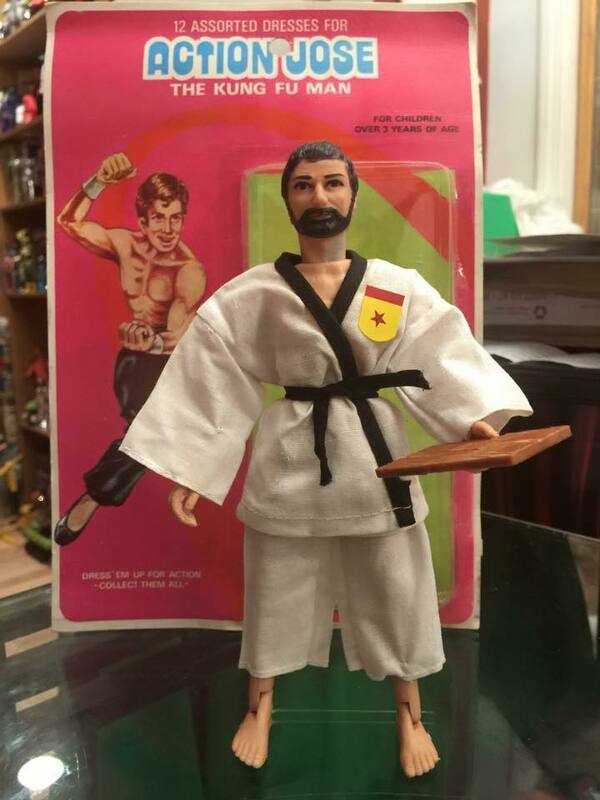 Of course, Big Jim always had a Karate GI in his arsenal, for almost his entire run too. He even got a Kung Fu Studio (we call it a Dojo) to practice his deadly board breaking skills. 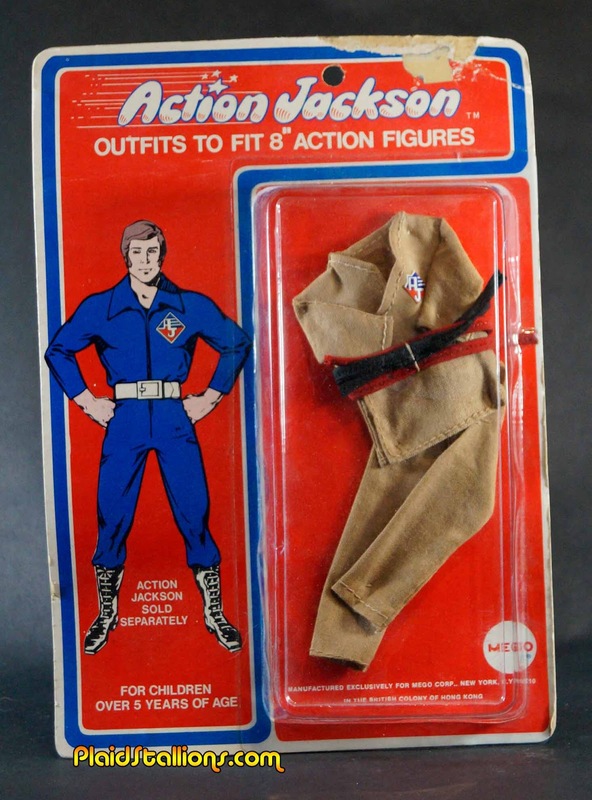 Mego's Action Jackson is an old friend of mine and of course, he's got every belt. The sticker on this box was done in Canada due to overstock of outfits, they tried to sell it as outfits for the Superheroes, Monsters and Apes bless them. 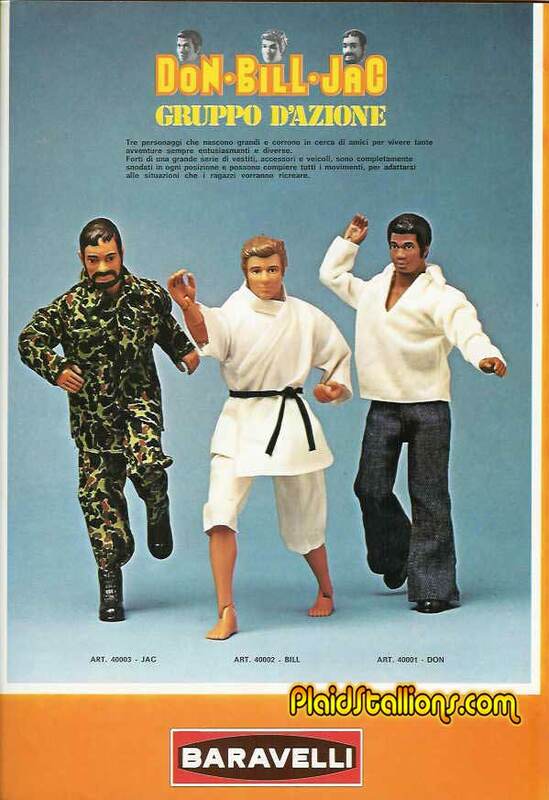 Mego also made a series of lower cost outfits for AJ that included tennis, golf and you guessed it, more Karate. 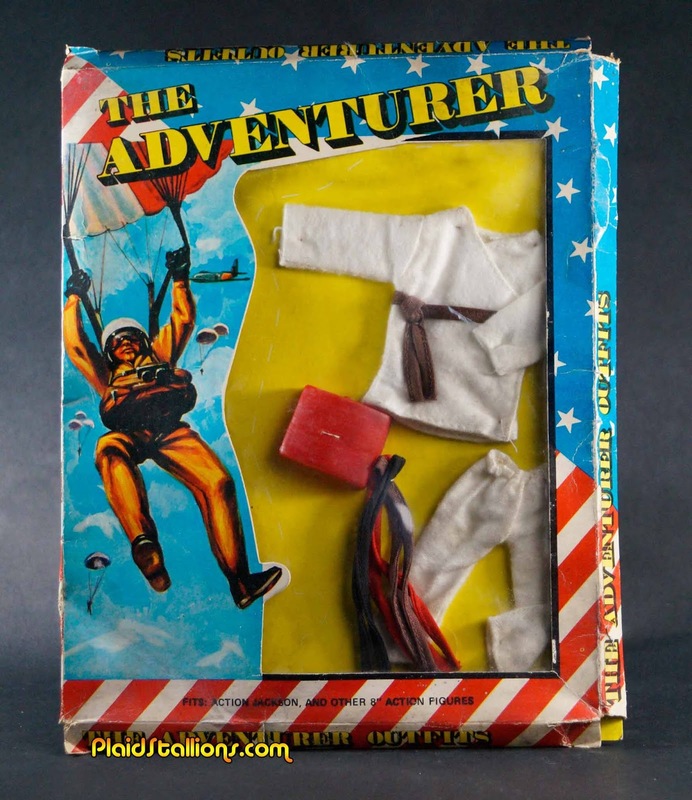 The Adventurer was a lower cost rip off AJ that copied a lot of the same themes, Some of the time his outfits appear to be Mego overstock. Action Jose the Kung Fu Man had many "dresses" (their words, not mine) and thanks to my buddy Kevin, here are a couple. I want to point out that I have never seen the actual Action Jose doll, if you have one please, please, please send me a photo. More Martial Arts dolls soon, I promise! Can't have been much demand for flyfishing Big Jim. Maybe you could have him hunt for Black Manta? I actually had fly fishing Big Jim! A relative bought it for me. I loved the fish! Cool Post! 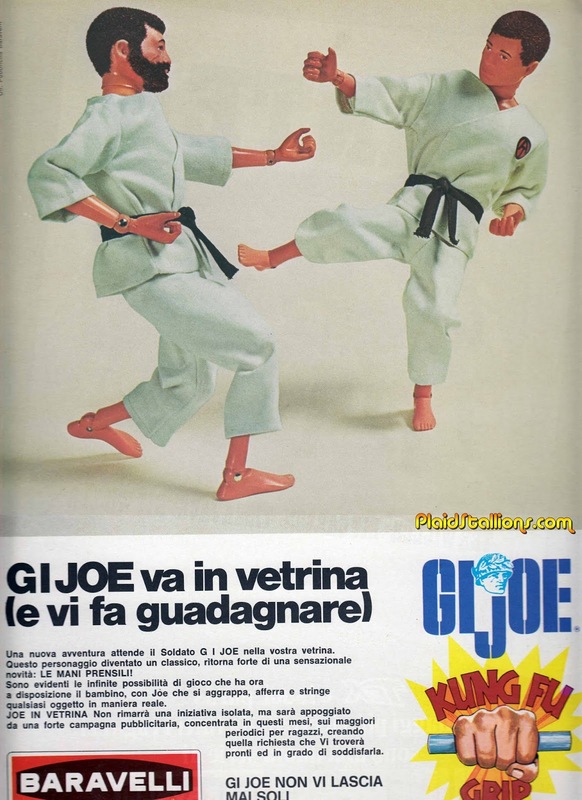 Loved the karate stuff in 1970s!!! Big Jim was a favorite dressed in Karate outfit. 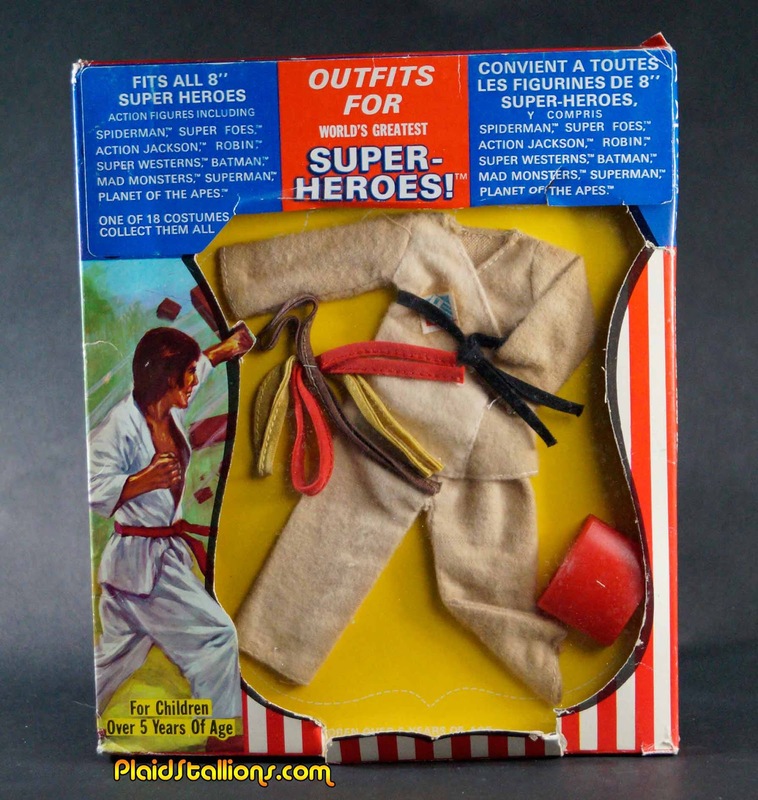 There was an Action Outfit Karate (early LJN) All Pro Sportsman had one too! Good luck with your hunt. 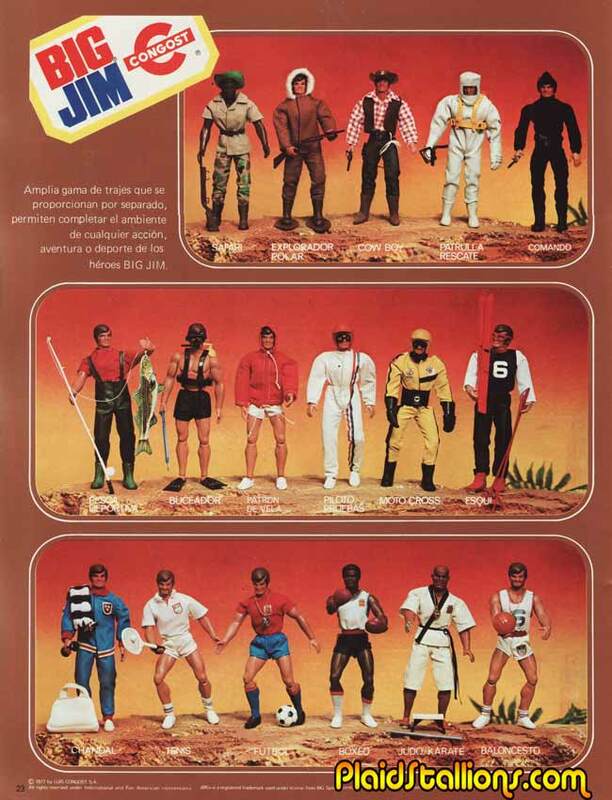 I wonder why toy companies stopped making action figures with leisure/sports activities costumes/accessories then. GI Joe's Roadblock for example is supposed to be a gourmet chef, but I don't think he was ever sold with a chef's hat or grill. Missed opportunity? When I first saw that photo I thought they were the Aurora Kara-a-a-te Men. Then I saw that they don't have the large blue bases. They're my familiar Adventure Team fellows in karate outfits. 1941, Sure to be the biggest hit of the year. Latch Hooking, everybody's doing it!